The ATP Tour returns to Europe this week after a month in Asia with three indoor 250 events. The Kremlin Cup in Moscow, Russia was founded in 1990 and has been dominated by home players. Andrei Chersakov, Nikolay Davydenko and Yevgeni Kafelnikov are amongst the players to take the title more than once while Mikhail Youzhny, Igor Andreev and Igor Kunitsyn have all won in recent years. The tournament is a joint-event with the WTA hosting a Premier event the same week. With players still chasing points to claim the remaining places at the World Tour Finals, this week offers top seed Richard Gasquet (Player Profile) a great chance to overtake Roger Federer with a title. Of the three events this week, this is probably the weakest on offer. 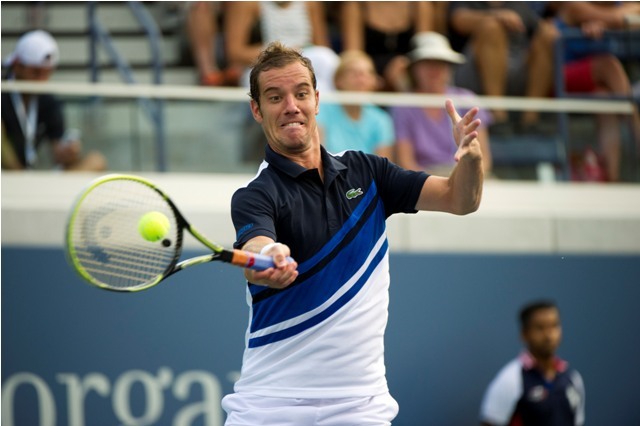 Gasquet’s chances took a huge hit when he lost to Vasek Pospisil in the opening round of Shanghai. He opens against the winner of Marcos Baghdatis and Evgeny Donskoy. The Frenchman’s record against Baghdatis gives him reason to worry, having gone 0-3 against Baghdatis including a Rotterdam loss this year. Dudi Sela plays Teymuraz Gabashvili in the final of Tashkent Challenger this week and there could well be a rematch in the second round of the tournament here if Sela can defeat a qualifier that includes the likes of Mikhail Kukushkin, Andrey Golubev and Aslan Karatsev and Gabashvili beats Adrian Mannarino. 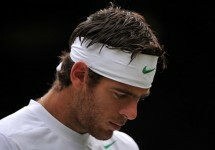 Sela will fancy his chances but the eighth seed Mannarino will be a much sterner task. The Frenchman only has a 2-3 record at ATP level indoors but has a Sarajevo title to his name at the lower levels. Janko Tipsarevic (Player Profile) was a winner in 2011 here but his performances have declined this year. This tournament gives him a good chance to make only his second semi final of the year. Junior wildcard Karen Khachanov managed to beat Victor Hanescu in his only other ATP tournament in St Petersburg but it would be a surprise to see him repeat that against Albert Ramos even on a surface that is unfavourable to the Spaniard. The other seed in the quarter will also play a wildcard in Andrey Kuznetsov. Kuznetsov plays fifth seed Denis Istomin who has made one indoor title in his career – the now defunct San Jose in 2012. It took two tiebreaks for Istomin to win at Queens and he should progress in straight sets once more against an opponent who has been playing clay challengers since the US Open. Big serving Ivo Karlovic was a losing semi finalist last year but has disappointed indoors recently. A three set loss to Sam Querrey in Metz followed by a third set retirement in Bangkok doesn’t fill him with confidence coming into an opener with Denis Kudla. Although incredibly inconsistent, Alexandr Dolgopolov (Player Profile) should find his way to the semi finals fairly easily. Either a qualifier or Alex Bogomolov Jr. is up in round one. Dolgopolov has played the Russian once and won in straights at Wimbledon. Sixth seed Horacio Zeballos is the projected quarter finalist but given he lost to Konstantin Kravchuk in St Petersburg it is hard to have any confidence in him fulfilling his seed. Zeballos plays Ricardas Berankis who has lost his last four with a match against a qualifier on offer for the winner in the second round. Joao Sousa capped off an outstanding month or so when he took the Kuala Lumpur title, defeating David Ferrer and Julien Benneteau in the process. He opens against Sergiy Stakhovsky whom he defeated in three sets in St Petersburg. Since the defeat, Stakhovsky has gone 2-3 at indoor challengers so comes into this tournament needing a boost. Jiri Vesely has been dominant on the Challenger Tour is still yet to make the step up going 0-4 at ATP tour level. Andreas Seppi (Player Profile) rounds off the draw as second seed and will face one of his fellow Italians. Despite regularly playing clay challengers, Paolo Lorenzi and Filippo Volandri have played just once – over 7 years ago in Biella. Volandri hasn’t won an indoor match since 2007 so should be easy pickings for Lorenzi.